This stops notifications on your phone so you'd not see them on the watch. That's a guess though. I also wanted to add a bug. I receive every single notification on it, until a phone call comes in, then I answer, once the call is done, NOTHING gets pushed to the watch. although it is still connected to the mate20 pro (I know that because I push the FIND MY PHONE) and it rings, but the sms and the rest of notifications stops. I only had to restart watch, or disconnect and reconnect bluetooth for it to function again.. I wonder if anyone else has this issue? I have the same problem. I hope it is a bug that can be fixed soon! Otherwise this watch has nu use for me . Is anyone else expering this as well? Same Problem here. I have a Mate 20 Pro and watch fw is 1.0.3.54 and app version is 9.0.3.362. please fix this. No notification at all. Same problem here. No notifications - all on in health app. It's connected as I can use the feature such as find phone. When I get a call or text or what's app no notifications. Also tried resetting watch. Re-pairing etc. Do not disturb is not on either. If anyone manages to get to the bottom of this let me know. Pulling my hair out. I am speaking with Huawei via DM on Twitter too so if I get anywhere I will post it on here. I am on the same boat buys. Very disappointing. Same here. Notifications work, then suddenly stop. If I restart the watch, they start working again. Please fix this ASAP. I've done all the power management setting changes to make sure Health can stay open in the background. The issue seems in the watch itself. 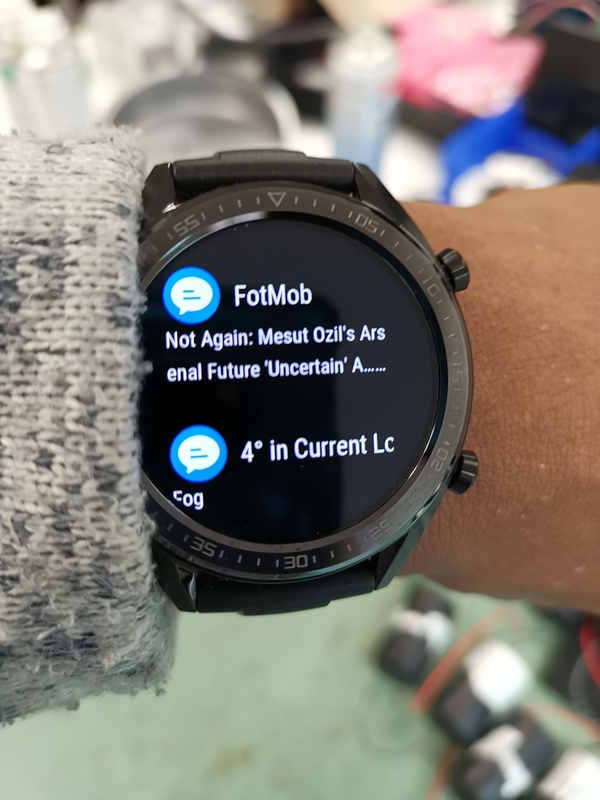 The response I have had back from Huawei is them taking my phone serial and build number and the serial number of the watch and passing it to their development team. They say it may be fixed in a future update. No indication of how long it might be though so we may be stuck with the issue for a while? Same issue here. I thought was random but will monitor to see if it's only after I receive a call! Guys, I cleared cache and data for the health app, uninstalled it and reinstalled it, and the issue is gone. The bad news is, it works for like 5 or 6 hours , then randomly appears again. I will post here if I found a permenant solution for this (if there is). Don't worry, the notifications are terrible. Not worth trying to use them. Apart from that, brilliant watch with a couple of minor software problems with very early and basic functionality (for now)! Got mine today and having same issues, well at least I'm not alone. 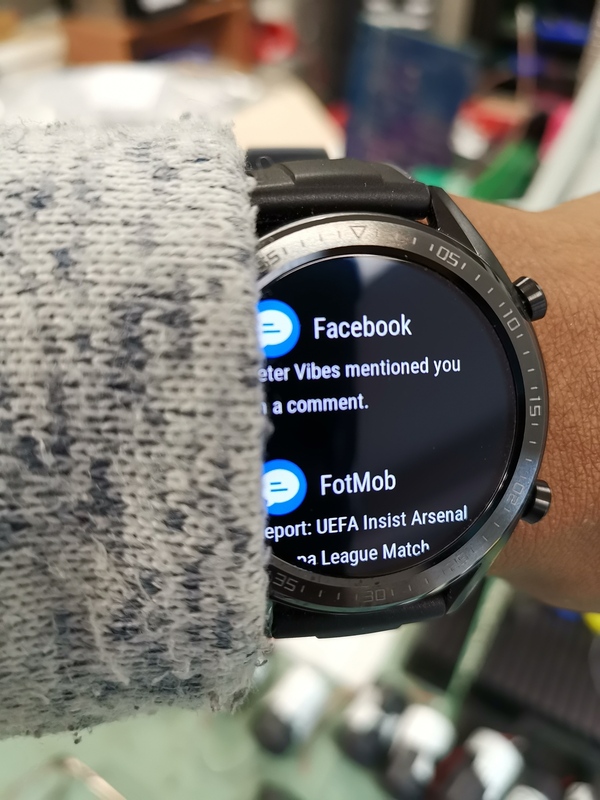 What I am struggling to understand is, if this is a wider issue (which clearly it is) and people with the Mate 20 Pro can't get the notifications until this update is deployed - why include a smart watch as part of the pre-order offer that's not really compatible with the phone? PLEASE let someone call you, answer the phone call, then observe if you get the notifications again. It might work for a while, but maybe after 2nd call or 3rd, mine gets broken again, till i restart the watch. @ammarsh how long have you left it before restarting the watch? 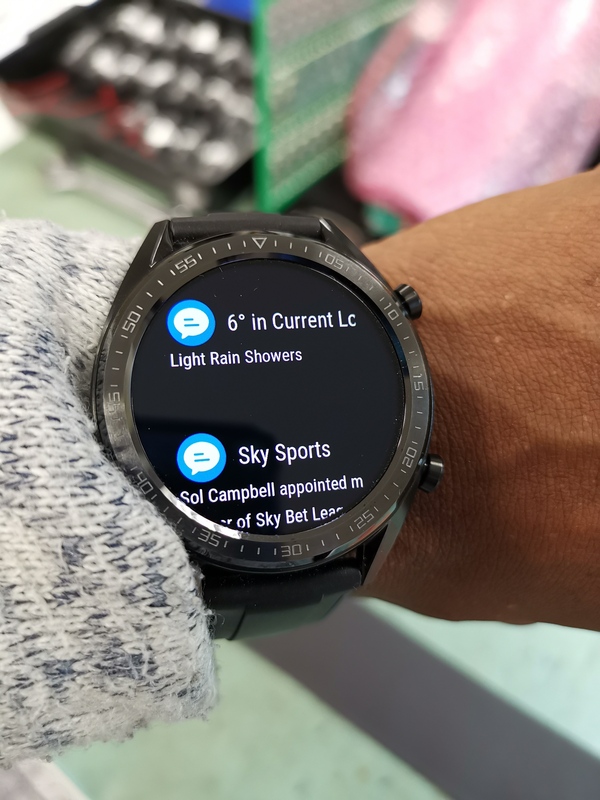 I did reject calls using the watch earlier as I was at work and notifications still came I'm at home now and have had a few calls, I haven't had any new notifications yet. Hi guys, got my watch GT yesterday and have all the same issues. Tried all of the above, resetting network settings, clearing cache, factory reset, checking notifications are switch on, un-pairing and pairing etc. After I have completed a reset I get notifications for an hour or so then none until another reset! I have to reboot the watch which suggests it's a cache issue of some description. I also get two notifications when it does work! Customer services looking into it and said they will come back with a resolve tomorrow. How can they send out a new product with serious flaws like this? I ended up turning off Bluetooth and turning it back on again and hayho notifications come back, so yea same as everyone else. That would be cool..... Please do make one if possible.